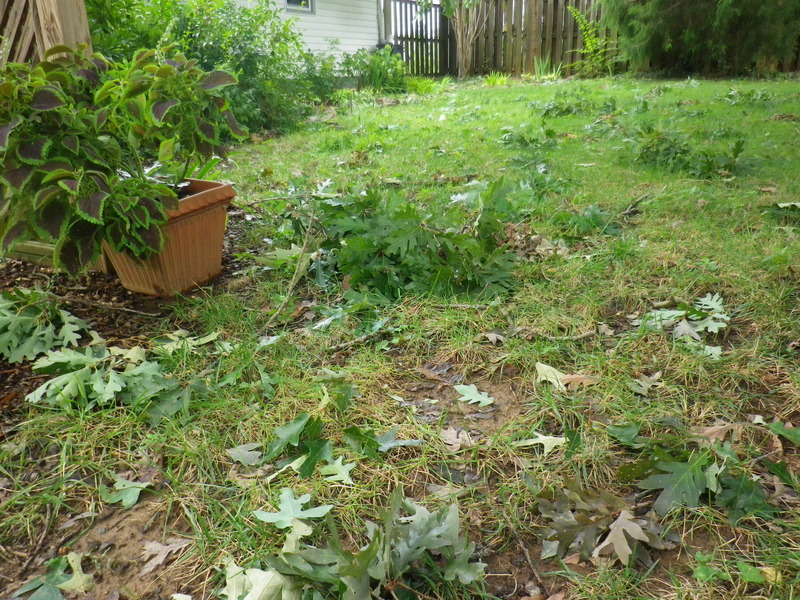 Hurricane Irene stormed through on Saturday, leaving 3 1/4 inches of rain in her wake and a lot of debris in the garden. 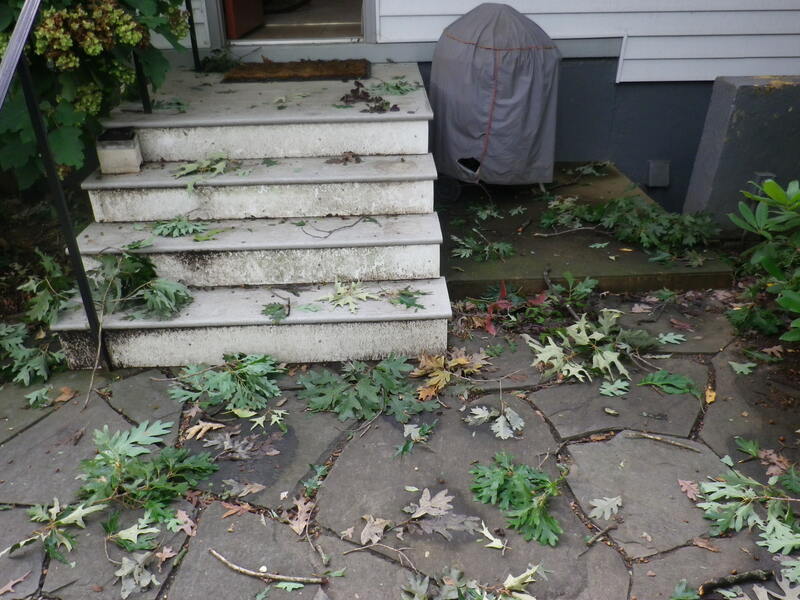 Here’s a glimpse of Irene in action. 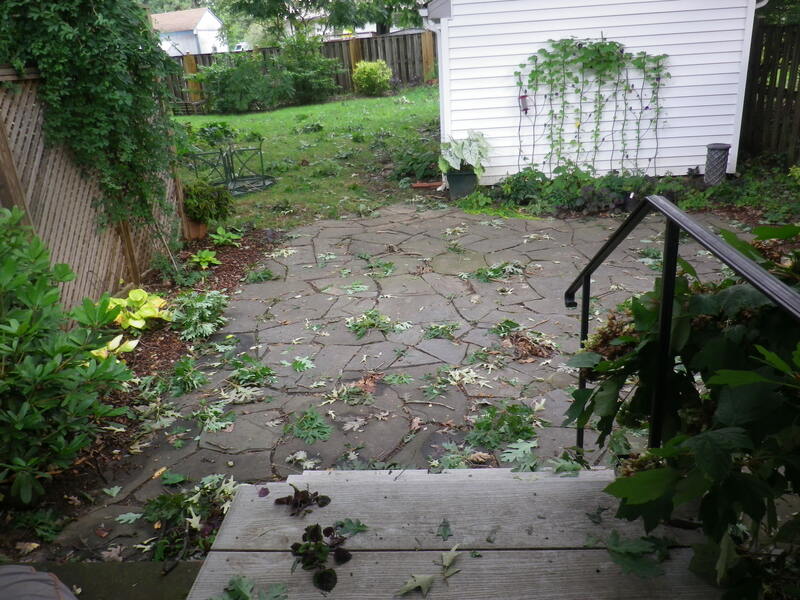 Mostly twigs and small branches, a mess to clean up but not too terrible. 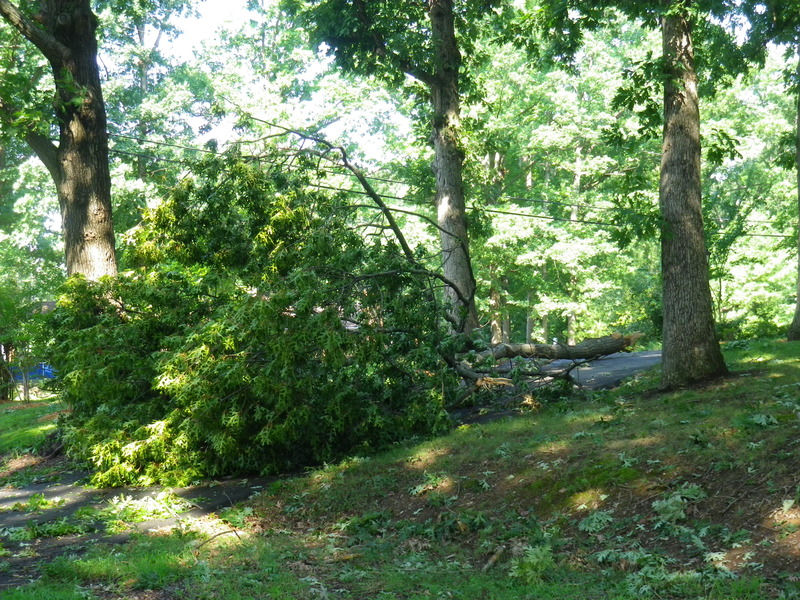 The real damage came from the intense thunderstorm on Thursday evening, which left this tree blocking three-quarters of the road. By this morning (Sunday post-Irene) someone had moved it into the driveway. It’s bright and sunny now, actually so hot that I couldn’t bring myself to mow the lawn, which needs it badly. If I can muster up the strength, I’ll do some more cleanup in back. Next weekend I will HAVE to chip and shred, or else haul it all to the dump.